As a nurse, if you’re dissatisfied with your current position, we have great news for you. There are so many options out there, and so many career paths to explore—including some very unique nurse specializations—that you don’t have to stay where you are. Medical contracting opens up a world of opportunities for the adventurous and enterprising nurses out there, and the career paths you can choose from are just as varied. And the best part? If you’re a licensed RN and decide you don’t enjoy a particular specialization as much as you thought you might initially, you can always pursue a different one. The options are nearly endless. A travel nurse is the same, in practice, as a regular RN, except that they work on a contract basis, filling needs and helping out staff where ever they are most needed. Becoming a travel nurse is a great opportunity for new graduates, someone who enjoys travel, or even if you’re just looking for a change of pace. A nurse practitioner (NP) is an advanced practice nurse that can treat illness, prescribe medications, and create treatment plans. 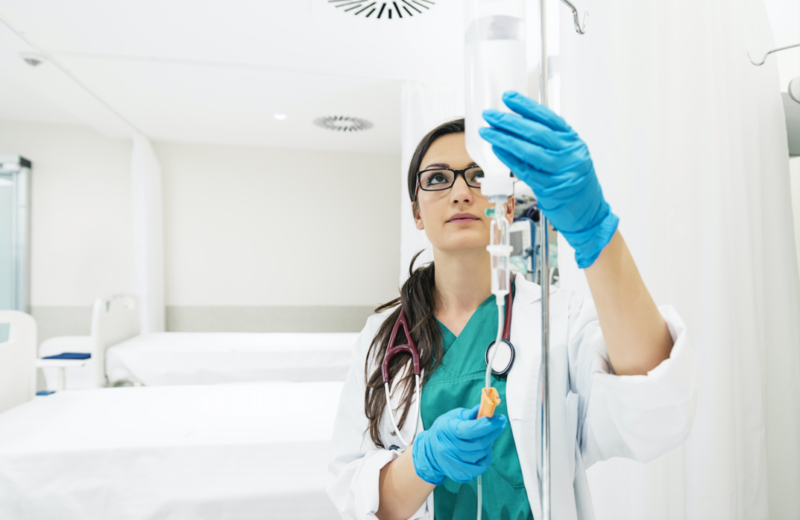 This role is often functionally similar to that of a physician and would be a good fit for nurses who want to take their education to the graduate level and crave more independence in their practice. A clinical nurse specialist (CNS) is an advanced practice nurse that takes on additional responsibility like diagnosing and even treating patients. These individuals specialize in a certain area, and may focus on family care, consulting, or research. This specialization requires additional certification, similar to the role of nurse practitioner, but is more research-based. These nurses provide care for the critically injured, and as such must have a strong knowledge of the body, be quick on their feet, and know how to provide fast and efficient care while remaining sensitive to the patient’s needs. Critical care nurses address patients with acute and life-threating injuries and can be found in hospitals, outpatient facilities, and military units. A nurse case manager is a coordinator that works with hospitals and patients that require long term care to keep patients out of the hospital when possible. This specialization would be good for individuals who are skilled researchers, good at scheduling and organization, and excellent coordinators. If you’re looking to work outside of a traditional hospital setting, a home care RN may be the right opportunity for you. In this role, you’ll work with and provide care for geriatrics or other adults with mobility issues, typically in their own home. These are just a few of the career options and specializations available for nurses. If you’re a nurse or other medical professional looking for more flexibility in their career, you can find a wealth of job opportunities here on our jobs page in a wide range of specializations, or contact our office today.